Up for sale is a Forma Scientific FORMA FURY lab glassware washing machine. Cavlon Item # 2735. For sale is a Guyson Kerry MICROCLEAN GE450/8 MK4 Multi-Station Ultrasonic Cleaner. Cavlon Item # 2732 Raw weight is approximately 4200 lbs. This thing is relatively huge. About 268 inches or over 22 feet long. With the transporter attached, it is about 54 inches wide and 60 inches tall but the transporter is about 97 inches tall when mounted. The unit is partially broken down now for storage and transport. There are two primary sections. The first is about 2600 pounds and 156 inches long and the second is about 1600 pounds and 112 inches long. With stuff stacked on top, figure about 4' wide and 76 inches tall. Other parts that can be shipped strapped to the top of the two units will add about 800 pounds. Recommended shipping would be backhaul as the units are too big to safely ship LTL unless crated and crating something this large would add about $1000 to the cost. 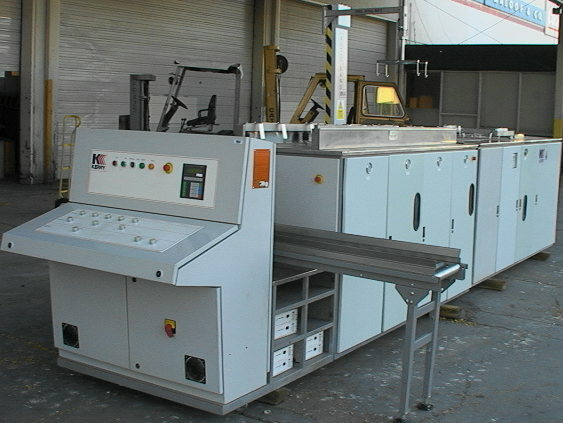 For sale is a MagnaFlux Zyglo Dye Penetrant Application Inspection Wash Station type ZA-2000 Cavlon Item # 3198 Raw weight is 1045 lbs Raw dimensions are 117*38*74"
Up for sale is a Nifisk Advance UHSB 20 36V Cordless Type E Floor Buffer Burnisher Polisher. Cavlon Item # 2739. Raw weight is 600 lbs. Raw dimensions are 60*28*40. Up for sale is a Nordson FLUXWASH PulseSpray Flux System. Cavlon Item # 2353. 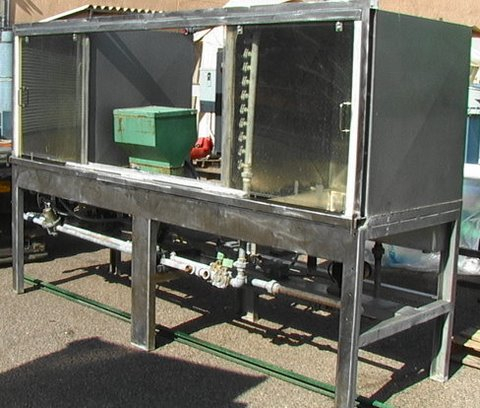 Up for sale is a RE-ENTRY 3-Tank Wash Rinse Cleaning System Air Powered. Cavlon Item # 2352. The two deep sinks are 12x16x20" deep and the little side area is 12x16x2" deep. Raw weight is 298 lbs Raw dimensions are 42*28*44"
For sale is a S.P.E. EAGLE Silver Cordless Floor Buffer Burnisher Polisher. Cavlon Item # 2738. Raw weight is 200 lbs. Raw dimensions are 36*48*36. 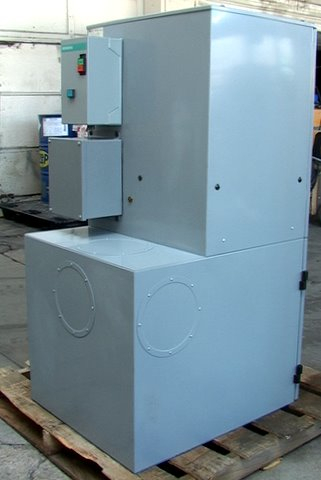 SIMCO Neutro-Vac Dust Collector dc-550 for web cleaning system. Looks NEW, it has been powered up, sold AS IS. Cavlon item # 3778. Raw weight is 278 lbs. 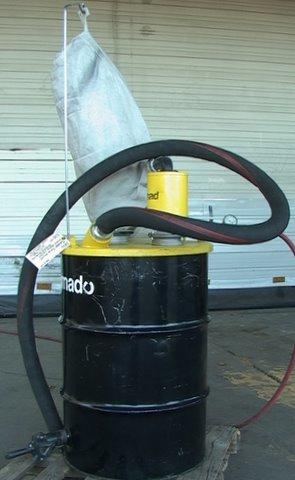 Raw dimensions are 30*25*53"
For sale is a Tornado Jumbo Vacuum 55 Gallon Wet Dry Single Venturi Cavlon Item # 3826 Raw weight is 228 lbs Raw dimensions are 36*24*78"
Up for sale is a Used 12" pipe cleaning PIG. Cavlon Item # 1154.